Hans Lundgren, to give him the birth name, was born on 3rd November, 1957 in Spånga, Stockholm, Sweden. Dolph is a well known martial artist, actor and director, and belongs to the generation of actors who created action heroes in the cinema, including Arnold Schwarzenegger, Sylvester Stallone, Bruce Willis and other famous actors. He has been active in the cinema industry since 1983. Wonder whether Lundgren is rich? It has been estimated that the overall amount of his net worth is as high as $14 million, with the reported sources of wealth being martial arts, acting and directing. Speaking about his childhood Lundgren admits that his father was prone to violence that led him to take up such sports as karate and boxing as a hobby, as well as Kyokushin karate and training with weights. After graduating from high school, Dolph continued his undergraduate studies in the USA, graduating from Washington State University with a degree in Chemistry. Later, he returned to Sweden and graduated from the Royal Institute of Technology with a degree in chemical engineering. Throughout his studies, he continued practicing martial arts and took part in various championships. He won the European championship of Kyokushin Karate which significantly increased his net worth. Afterwards, he studied at the University of Sydney where he earned his master’s degree. While studying in Australia, Lundgren worked as Grace Jones’ body guard until they fell in love with each other and moved to the USA. Lundgren debuted with a small role in the James Bond film series “A View to a Kill” (1985) directed by John Glen. Immediately, he landed the role of Ivan Drago in the film “Rocky IV” (1985) which brought him worldwide recognition as well as adding much to his wealth. Afterwards, he created many roles of super heroes including characters in the films “Masters of the Universe” (1987), “The Punisher” (1989), “Universal Soldier” (1992), “Johnny Mnemonic” (1995), “Storm Catcher” (1999), “The Last Warrior” (2000), and “Detention” (2003). His roles in above mentioned films not only made him famous and easily recognized, but also rich. Furthermore, Dolph Lundgren not only appeared as the main star of the film “The Defender” (2004), but debuted as the director of the film. In this manner he worked with the following films: “The Mechanik” (2005), “Diamond Dogs” (2007), “Missionary Man” (2007), “Command Performance” (2009) and “Icarus” (2010). However, since 2010 he has only played roles in films, this way increasing his net worth. Lately, the most successful roles he landed in the films “The Expendables” (2010), “Universal Soldier: Day of Reckoning” (2012) and “Blood of Redemption” (2013). Currently, he is working on the upcoming film “Skin Trade”. Altogether, Dolph has appeared in over 60 films. Even though Dolph is a popular, notable for his roles actor, he isn’t one of those who can boast having loads of awards. Lundgren won Marshall Trophy and Málaga International Week of Fantastic Cinema. 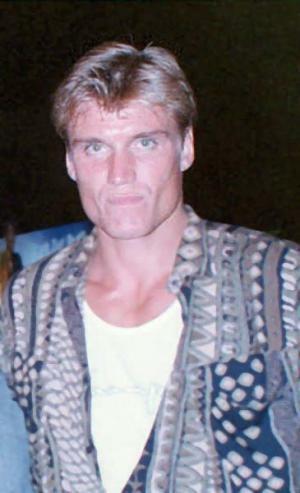 Dolph Lundgren has been married only once, to the designer Anette Qviberg, though he had long term relationships with the model Paula Barbieri and singer Grace Jones. He married Anette in 1994 and they have two daughters. However, their marriage ended in 2011. Currently, Dolph is dating Jenny Sandersson. How old is Dolph Lundgren, is he married and who does he play in Aquaman? Creed 2: Sylvester Stallone and Dolph Lundgren discuss "epic battle"